Woot Woot! It's time for another Paper Issues Product Spotlight. Today we are featuring the fun and happy Crate Paper Heart Day! Me? I LOVE hearts. And Pink. If you've noticed, I'm not a sappy scrapper. I like to show my life in fun and silly ways. This collection gives me that opportunity in so many ways! 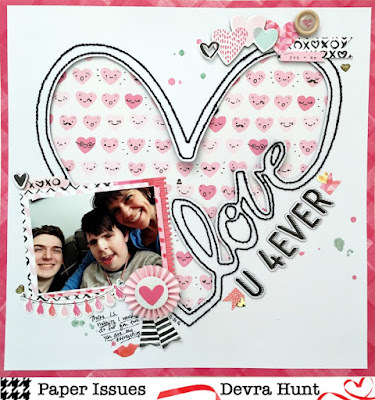 For this page I started with an awesome FREE Love Script cut file that I cut and stitched. 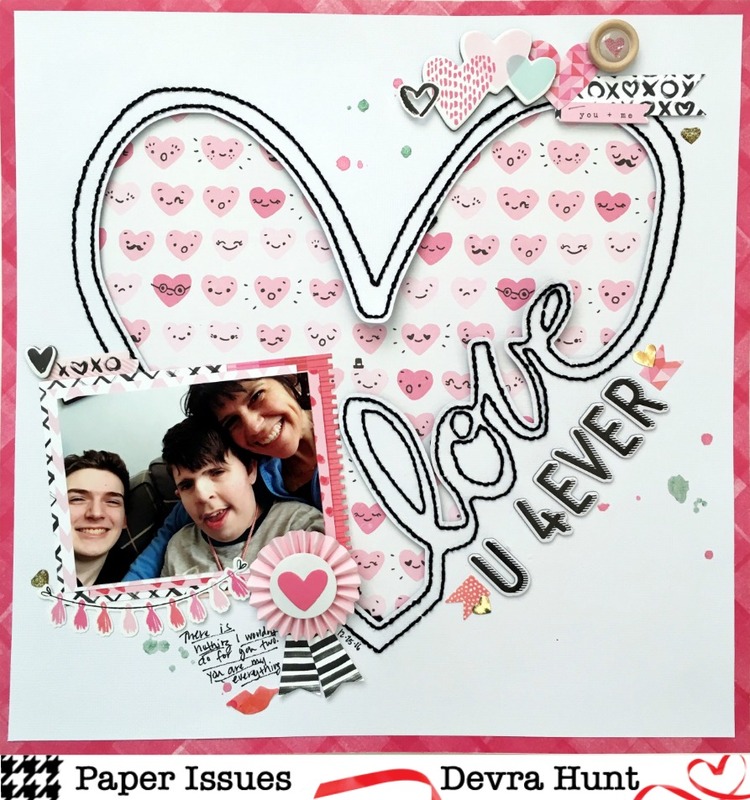 The Happy Hearts paper is my favorite paper in this collection, also the perfect one to layer behind the heart. I layered more papers and pieces of the ephemera die cuts behind my photo. The variety of layered stickers, chipboard and cardstock stickers give me never ending ways too add to my pages! My guys are my world. As they get older, that doesn't change. What does is the reality that they wont be with me forever. So, every little moment, and every little selfie counts as a reminder to all of us. There. Sappy & silly. 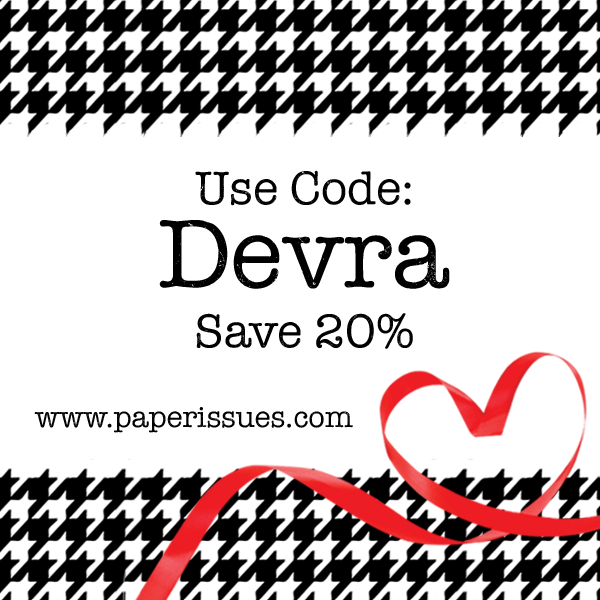 Now, you need to get some Heart Day to play with right now! Go directly to the Paper Issues store and use code DEVRA to get 20% off your purchase!